Home > NCAAB > Loyola (Chi) vs. Nevada Basketball: Basketball Bets to Make! Loyola (Chi) vs. Nevada Basketball: Basketball Bets to Make! They don’t call it March Madness for nothing and this past weekend we saw exactly why the NCAA Tournament earned that manic moniker. In fact, there’s no doubt that players placing basketball bets this past weekend on favorites were disappointed. Nevertheless, the Madness continues this Thursday with a thrilling Loyola (Chi) vs. Nevada basketball matchup. Let’s take a look at some NCAA picks and parlays players can make off of this Sweet Sixteen matchup. 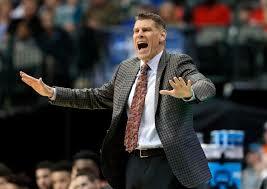 In his 7th season with the program, Porter Moser was able to lead the Ramblers to a phenomenal 25-5 season. Not only did Loyola finish No. 1 in their conference rankings, the Ramblers would go on to win the Missouri Valley Tournament. Naturally, after finding such success, Loyola received an invitation to the NCAA Tournament. Facing Miami in the First Round, the Ramblers scraped past 64-62. In the second round, Loyola delivered an even tighter 63-62 finish against No. 13 Tennessee. Now, pegged as an underdog, Loyola is hoping that they can get the job done once again this weekend. Judging by the level of talent they’re facing, the Ramblers might need a little luck to come out on top. Players to Watch: Clayton Custer (13.3 ppg, 2.2 rpg, 4.1 apg), Donte Ingram (11.5 ppg, 6.4 rpg, 1.6 apg), and Aundre Jackson (11.1 ppg, 3.3 rpg, 1.0 apg). While it wasn’t all that surprising to see Nevada get invited to the NCAA Tournament, it’s a little shocking to see them make it to the Sweet Sixteen round. All in all, the Wolf Pack turned in a 26-6 record during the regular season. And although they didn’t come up big in the Mountain West Tournament, the program is still alive and well this March Madness betting season. Not only that, it seems that the betting sportsbook odds are siding with Nevada this time around. Overall, the Wolf Pack have a statistical advantage when it comes to offense, scoring 83.0 to the Ramblers’ 71.9. But on the other hand, Loyola has a much better defense allowing just 62.2 points per game. It might be hard to place a basketball bet against the team with the better defense. 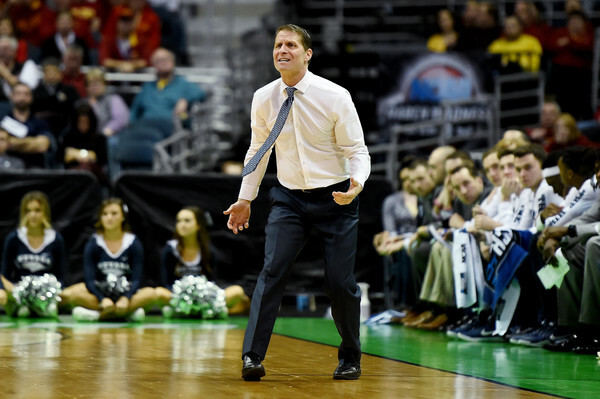 We’ll have to see what Eric Musselman’s unit can do this Thursday. Players to Watch: Caleb Martin (18.8 ppg, 5.4 rpg, 2.6 apg), Jordan Carolina (17.7 ppg, 8.7 rpg, 2.3 apg), and Cody Martin (13.9 ppg, 6.3 rpg, 4.7 apg). While Nevada has a significant advantage on offense, bettors might want to consider siding with the Ramblers straight up. There have been plenty of upsets already in this tournament and it wouldn’t be surprising to see Loyola get the job done. Alternatively, the spread and totals line might be safer options in this one. Sign up now to make this NCAA prediction! Score Prediction: 66-65 Loyola. The Ramblers pull off a miracle late in the game to advance to the Elite Eight. Nevada will cover the spread and the TOTAL will be UNDER.